No show but no Thursday blog? No way!!! Click on through to the blog post to get some answers to your questions, as well as some secret information about the beginning of Season 5!! Yes, here we are, steering the good ship "Heartland" through the somewhat less-than-treacherous waters of no new episodes until September. Oh what does it all mean? Whatever is to become of us? Want to find out!? WELLLLLLL... Let me tell you!!! With a lot of shows, they have their season finale and then it's "padlock the website door" and they'll give you a shout a couple of weeks before the new season starts. Maybe. 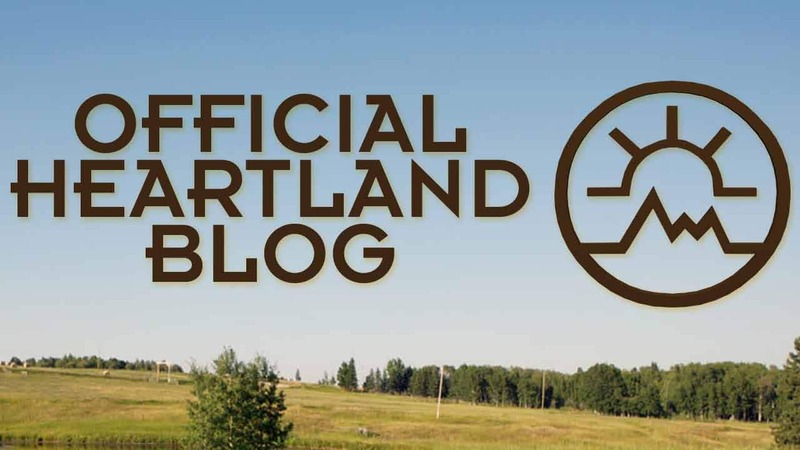 Every year CBC brings you 18 new Heartland episodes on Sunday nights at 7:00pm. The other 34 weeks there may be reruns (which is great if you haven't seen the episodes being rebroadcast) or other shows (which is fine if you want to watch those other shows) but nothing's disguising the fact that, starting 3 years ago, a season of Heartland consists of 18 episodes, so that's what you're getting in any 12 month period. Now this website, on the other hand, is a completely different entity. There's no shortage of things that I'm going to roll out to entertain, educate and keep you informed regarding your favourite TV show and everything about it. No Super Bowl, Grey Cup, rerun, hockey game or lack of a new episode is going to prevent a new post right here every Thursday. I've done it for a long time and I'll totally continue to do so. This'll be the prime spot for all Heartland news, and I'm going to start right here and now, because (squeeee!) I've read the first two excellent scripts (501 and 502) and I'm prepared to give you a little something to whet your appetite and get you thinking about what the future may bring!!! I can't give away too much (and I wouldn't want to) but I will tell you that one of the the first two episodes marks the return of a character many of you think would not be returning (and the first name does NOT begin with the letters B or C). Also, for those of you who have been missing Spartan, Amy's favourite horse, Well, he's going to be front and centre, as will a host of other horses (yes, including Harley). And once again I'll tell you that a species of animal never before seen on Heartland will play a very prominent role. That's all for now on that subject, but as filming commences on May 2, my spies on set will get me other pieces of news (and pictures!) which I'll totally share with you. Of course! The production office opened on Monday, and Producer Tina Grewal, Production Manager Lorenz Augustin and Production Coordinator Hudson Cooley and the assembling crew are busy getting everything in place in preparation for the first day of filming (May 2), when returning director John Fawcett first says "Action!" and filming officially begins. Filming of the 5th Season will proceed until November 29, and during this period I'm going to keep you more informed on goings on than any other show on television. Or at least I'm going to try! That's my Blog Whisperer Guarantee™! Okay, now I'm going to answer a few frequent questions that've been posted over the past few weeks, and I'll be answering your questions here on a regular basis in the future, but before I do I want to tell you about a few things you may not know. 1) Bidding ended last night on the set visit auction, with 100% of the money from the successful bidder going to the CNIB. Well, the lucky highest bidder was from France, and bid... OMG... $2,950.00! Believe me, I've already talked to people from the production, and they are going to get the royal treatment when they come to set! 2) Our 'Name Peter and Lou's Baby Contest' has 3 days left (ending Sunday), so if you haven't yet entered (and dont' forget, you can only enter once!) To suggest a great first name for their baby girl, tick... tick... tick... click here to do so. 1) A lot of people want to know about whether it was a coincidence that Michelle Morgan had a baby girl two weeks after Lou gave birth to her and Peter's baby girl in the Season 4 Finale of Heartland. Yes it was a coincidence, and because that episode was filmed in December, Michelle did not look anywhere near being close to nine months pregnant, so the costume department gave her a lot of extra padding so Lou would look like she had arrived at her due date! Plus, that particular plotline was written WAY before Michelle was pregnant. 2) And also, Michelle's baby will not be playing Lou's baby, no matter how cute she is (and she totally is - I've added 2 photos and a message that Michelle sent me here) When a baby or young child is filmed in movies or on a television series, he or she tends to get bored, tired, irritated and sometimes just plain cranky, and because filming can't afford to stop for major delays, identical twins or triplets are cast as the single child. This lets the infants or toddlers rest, and ensures that filming can take place without major disruptions. Trivia: this is how the Olsen twins got started - they played ONE toddler (and then a young kid) waaaaay back in the 90s! 4) There have been no official Heartland appearances set for the rest of the year. Yet. HOWEVER... there will be appearences, and when they're confirmed I'll let everyone know about it here. Promise! 5) In December the cast and crew all went back to their homes to rest up. Many went on vacation and others just took some much needed time off. Because of this there has been a backlog of fan mail that is only getting to the various cast members now. Please be patient if you sent something in. If you addressed it directly to a cast member, he or she will have received your letter recently, or will get it soon. If you addressed it in general to Heartland, it may take a little longer to get a reply to you. But as they say - better late than never - hang in there, and you'll receive a reply! 6) A lot of people ask if they can appear in Heartland. I'm sure most of you know this, but just to make sure everyone understands - all actors who appear in the series are professional actors. 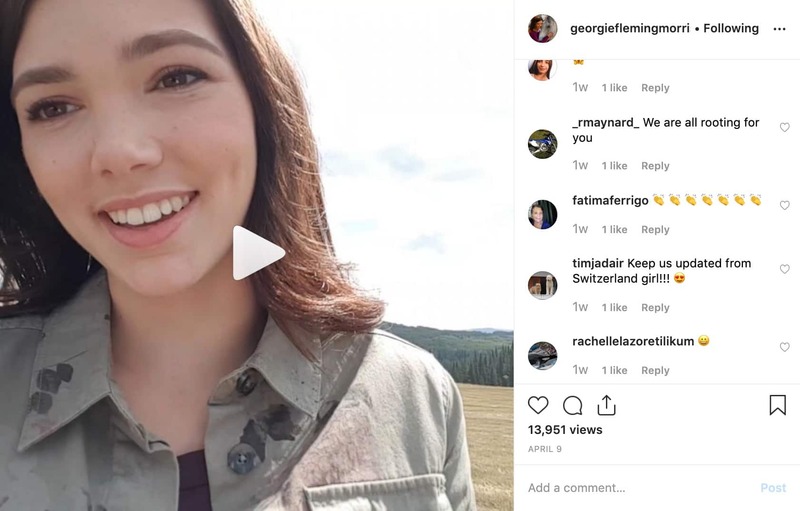 They've studied acting and have appeared in other roles before even auditioning and being selected for their part in Heartland. Before you can be an actor in Heartland, first you have to work at being an actor, then you have to be an actor, period! Work hard at it and then you may have a chance to audition. Once you've gotten to the stage where you are realistically able to audition, you'll know how to do so! 7) Because we have a lot of new international fans I'm going to repeat something that many of you know, but which is always good to repeat. The Heartland Ranch set is on a large acreage near the village of Millarville, which is about a half hour's drive south-west of Calgary, Alberta, Canada, near the foothills of the Rocky Mountains. The dude ranch and Caleb's trailer sets are within 10 minutes of the ranch set, as is the main racetrack where horse races and rodeos take place. The lovely town of High River, Alberta doubles for Hudson. That's where the stores are all located and of course, that is where Maggie's Diner is. The interior scenes of the house and of the barn are shot in a studio setting in Calgary. Lastly I want to point out the photo I've included with this blog post, above. It's Michelle Morgan (Lou) and director Dean Bennett during the filming of the final episode of season 4. Heartland's photographer took this shot of Dean and Michelle discussing how a scene should play out, and I want you all to know that I'll be posting lots of "behind the scenes" production shots in addition to the regular photographs, right through both the upcoming production and broadcast season. Next week I'll have some more answers, both to general questions, and I'll also start answering specific questions that have been asked over the past few weeks. In the meantime, you can watch all episodes of Heartland online on this site, if you haven't already bought the Season 3 DVD set! I understand they're selling pretty well, so once again, on Heartland's behalf, I seriously thank you for your loyal support! Your favourite (I hope!) Blog Whisperer.